Green Key — Gîte du Plateau: A haven for nature lovers! Gîte du Plateau: A haven for nature lovers! 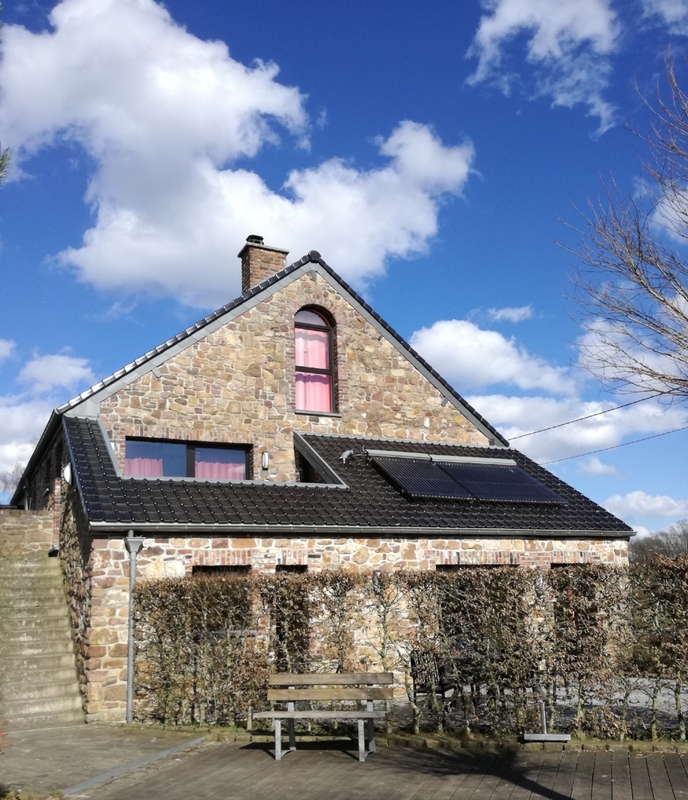 The two-apartment accommodation Gîte du Plateau in Profondeville, Belgium offers their guests a true nature experience. Only recently has the Gîte du Plateau received the Green Key - but the award is well-deserved. The holiday accommodation with two apartments is the right destination for tourists that seek a break in nature. The owners of the apartments, Françoise and Jean-Jacques Nonet, are true nature-enthusiasts that self-support themselves wherever possible. The two apartments are located in the house of Françoise and Jean-Jacques Nonet, which is located just outside of the city Namur. The house is surrounded by an extensive garden which Françoise and Jean-Jacques Nonet use to grow fruits and vegetables, to keep chickens and to manage their own beehives. Guests are allowed to pick their own fruits and vegetables from the garden and may also take some of the freshly laid eggs from the hen house just outside their apartment. Furthermore, each guest receives a glass of honey that has been produced in the beehives of Françoise and Jean-Jacques Nonet. A special attraction for children is the donkey Alfons, who can be taken for a walk. Solar panels on the roof of the house provide the guests with energy, and rainwater toilets are installed to save the consumption of fresh water. In addition, Françoise Nonet produces her own eco-friendly cleaning products that guests may use during their stay.